Paid £133 for this model last year from Aliexpress so IMO, this is a good deal. Despite the lesser amount of RAM &amp; storage on offer, I've never found the phone lacking &amp; it's done everything I've ever wanted. I still think the camera can take some stunning shots! I see Laptops Direct also have the 4GB/64GB version in stock at £149.97 with free delivery. You may not realise but the term "Oldies" is highly disrespectful. (annoyed) One day (if your lucky) you might live long enough to be one. Any reason this is more suited to Oldies? Do they suddenly lose the ability to use a phone or perhaps only require low speed devices? I played with Android Go. 1gb is still not enough and it still needs a better soc. It will alleviate storage a little. Does it have a notification light/led? Thing is will it turn up/get cancelled? Showing as £226 for me! Been using the 3/32 version ordered from ali for £122. Its excellent. I dont need the extra 32gb of storage and dont notice the extra ram missing. Hahahahahahaha, yep!, and me too. But as per my immediate above previous comment?, then ... I do actually have a point, lol. I must admit, I preferred my Note 4 to my Note 5 as I find the Note 5 a little buggy eg recently lost audio notifications on incoming emails in Outlook and the device occasionally goes to the lock screen after tapping the Back button in a variety of Apps. My OH has my Note 4 without any issues at all. Excellent, I like it when people say PayPal, never understand people paying by debit card, let me know how you get on please. I just couldn't hit the checkout button if I knew it was available (global version) from abroad a full years ago for the same price, which is what what in trying off right now. Do I ow go for the RMN7 with the inferior build quality for another £50 or Poco for another £100? They under estimated the buying power of hukders ! Just had a quick look through their T&amp;C and it says all prices are final to a customer. Coupon code 4BGRN7 USE This coupon can only be used 2400 times. Yeah the Blue one does appear to be more expensive. Here is the final price I got using shipping insurance and priority shipping. Yep just tried it myself not the affiliate link that messed it up but the listing can only be found by a click through. Updated the instruction with images showing the initial page and target page and proof of the price. Sorry for this screw up. So exactly who on here got one of the 3 that was on sale? Im correct it's point less to post things like this. Well all know this. Never miss a 'Xiaomi Redmi' deal again! I'm surprised this hasn't got more heat. Is the seller reliable? 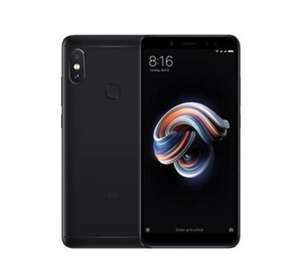 Some of their prices seem too good to be true, mi 8 lite 6/128 for £163 from Italy, full mi 8 for £230 (oos). Another refurbushed-selling-for-a-tenner-less-than-new rip-off! Argos, Currys &amp; the usual UK fleece-merchants must be loving the lame exchange rate right now - well done Brexiters! Cold. I bought the Mrswitch deal for the note 5 ,32gb version for £111 posted a while back. The phone is simply awesome and this is after a screen fault that was rectified by exemplary customer service and back to me in 3 days if posting off. For a tenner more I got a brand new one with two year guarantee from Amazon Germany. Good deal there, tcb at 4.39% should get you nearly a fiver back as well, voted hot as I like Xiaomi and it's still a good phone at a good price but there's a couple of Huawei/Honor deals on here today at this price range that are looking good. Switch. He's dangling that carrot and you're biting. Be bigger than that. Thanks for that. For a moment I thought I'd bought a dud! I did think that for £190.99 for the 64GB RN7 &amp; no duty to pay, with free delivery in what turned out to be three days, the Amazon/Mi World deal was pretty compelling. Yes there's maybe a £25 premium to pay over say eGlobal but that's not a bad trade-off vs having to wait for weeks while it's stuck in UK Customs plus getting hit with £13 duty (my previous RN5 experience with AliExpress). It'll be fine. HK Version is basically Global Version without the sticker and is what Eglobal would usually supply&lt;. However Xiaomi have started using different Global ROMs for recent phones. 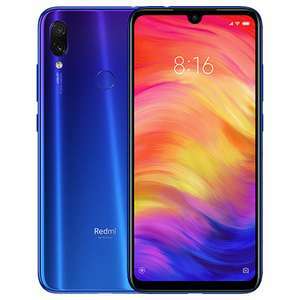 For Redmi Note 7, there's Global PFGEUXM&lt; for Europe, Global PFGINXM&lt; for India and Global PFGMIXM&lt; for the other "Global Version" regions. Yours will have the 'MI' Global ROM, whereas official UK release will probably have the 'EU' Global ROM. Not sure what the differences are though. Previous phones sold outside of China would have all used the same 'MI' Global ROM. Yes. You're correct. UK plug &amp; no sticker. Is that a bad thing? Should I return it? Judging by the business address of "Mi World" I assume it was HK Version that you got. UK plug inside box but no red "Global Version" sticker? 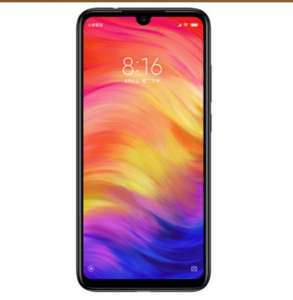 Just in case anyone's still reading this thread, the Redmi Note 7 supplied by Amazon UK, via Mi World for £190.99 has the model number M1901F7G. According to Google this IS the Global Version. BTW, the photos of this phone don't do it justice. In real life, it looks truly beautiful! Ah, this has made me look at the TCB conditions which say "Cashback will be validated for active Three accounts after approximately 90 days." Not clear whether that relates only to the various Add-on cashback offers or whether it also applies to the £15 for a PAYG handset. I'd also be interested with the answer to this. What I was trying to say is that if more stock comes in for the Note 5 they might ramp the price up to £200. I bought this Note 7 for less than £190. But this is a completely different phone all together. Is that your ebay listing? 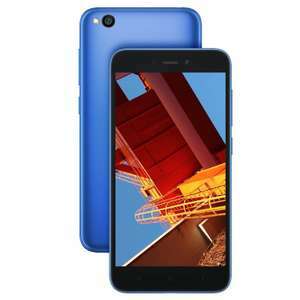 I brought the Redmi Note 7 for £200. Ebay. Chinese seller. Think I got stiffed as it was described as new but I reckon it is a refurb. These Chinese sellers know you can't send it back so will fuk you over if they can. Even now you can find China sellers selling note 4 / 4x advertising as NEW on eBay. That's why never buy end of life phones when production cycle is at the end as more likely to get refurb rather than new. Screen touch sensor went around 6 months after buying a note 4. Had to replace screen myself, took 3 hours, it was my first time. Now vibration is not working! Phone is less than 12 months old. The one I got from them is the global version and works in the UK, I'm on EE/Plusnet. NS201410GBP works on the black 128gb version, making it £165.99. Worth checking its the global version though.. Thanks Andy, but I'll wait for supeR130 to get back with that link sounds like he's found a brilliant deal. This or the moto g6? LOL, I'm sure there's stock on EVERY deal when they are posted... Rather missing the point here - expired.